In this post, A Look at Endogamy (Intermarriage within a Community) I hope to help explain why your DNA and the genealogical paper trail sometimes don’t add up. I then ask them as to how many other ways are they related to that person. More-often their response is “several ways”. Here lies the problem. In many cases, our families intermarried within the close-knit community for several reasons and for many generations. For example, my ancestors settled in El Nuevo Reino de Leon, nowadays Monterrey Nuevo Leon Mexico. They were among the first settlers and guess what? There were only 10 families! As you can imagine the reason for intermarrying within the group for the first few generations can well be concluded that they did it because of the scarcity of suitors and the distance between the other scarcely established towns. Below are some pictures to help me illustrate what I am talking about. I apologize for the small sizes but that is the best that I could do. The Image below is how everyone imagines what their family tree looks like. The following image is how my tree really looks like. Remember the settling of Monterrey? The concentration of lines on my tree are from 1600 to the 1650’s and then from the 1750’s to the late 1750’s. On the above image, we can also see the intermarrying was less during the 1650’s until the 1750’s. This was probably due to the increase in the population of the area and new arrivals adding to it. Then in the 1750’s to the 1800’s we see heavy intermarrying once again. You know why? 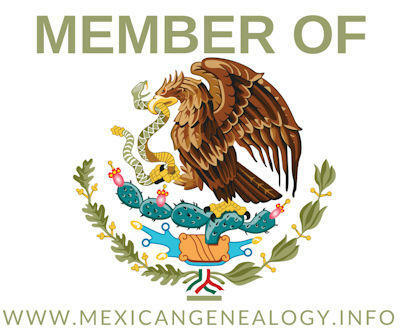 My ancestors moved north to help the Spanish government colonize northern Mexico. They ended up in Revilla, Mier, and Carmargo and once again the suitors for marriage drastically decreased. Many argue that families did this to keep land within their own families but I do not think that to be the case. Thus we see the heavy intermarrying once again. Now let’s break my tree down by each of my grandparents to see the intermarrying within their particular branches. On my grandfather’s side, you can see the same intermarrying periods. For my grandmother, you can only see a high number of intermarrying in the 1550’s through the 1650’s. The reason that they don’t have any intermarrying during the 1750’s is that they are late 1800 arrivals to northern Tamaulipas. So far the matches that I have had with other people through the Marroquin side the DNA matches accurately with the paper trail. I was surprised to find that there was no intermarrying in his family tree. But again I have only traced his family back to the 1750’s but even like that you don’t see any intermarrying. Another reason might be that half of his ancestors are late arrivals to the area and were originally from the Zacatecas area. DNA matches on my Tanguma line are very accurate and match the paper trail. Just as my paternal grandmother you can only see a high number of intermarrying during the 1550’s through the 1650’s. You can also see more intermarrying during the 1750’s when northern Tamaulipas was settled. When I ran my sons’ family tree which includes my tree and my wife’s tree you can see the high level of intermarrying that happened between both families. Besides my Marroquin and Tanguma side DNA matches everyone else I match them more closely on DNA than what is shown int he paper trail. I believe this to be due to the high level of intermarrying that we have in Northern Mexico and South Texas. An example that I and my wife have is that of our 7th and a half great-grandmother. We descend from her over 20 different ways. We also show two other sets of great-grandparents that so far, we descend one way form them. DNA wise we are 3.5 Generations apart but on the paper trail, it shows 7th cousins. If you want to see or generate similar charts as the above one with your family tree this is the website that I used. Hint: Use Internet Explorer since the tool does not work on chrome or firefox. Check out the following post to learn to use the above tool. Great work Moises! 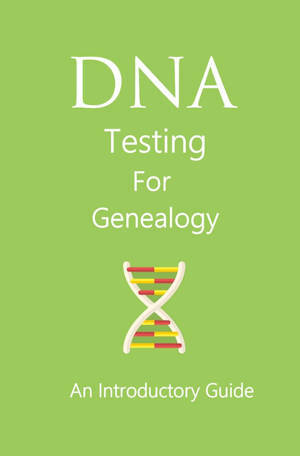 Thank you for the DNA book download, and insight along with the tools. Thank you for visiting and taking the time to read my post. Perfect proof of this is in the Index to the Marriage Investigations of the Diocese of Guadalajara, by Raul J. guerra, et.al., where they discuss a letter from a northern Mexican young mean who submits several names of possible brides, asking the bishop to decide which would be the best for him to marry, since all of them are related to him in different degrees. Wow, I have the book and will try to find the discussion. I enjoyed reading it was very informative. Thank you, I appreciate you taking the time to read it. This helped me show my husband why/how we Tejanos are related in more ways than one! Thank you! We are primos in all of our lines. lol, see you at the conference!